Target date funds that invest in deferred annuities can be used as default investments in 401(k) plans, Treasury and the IRS said Friday. 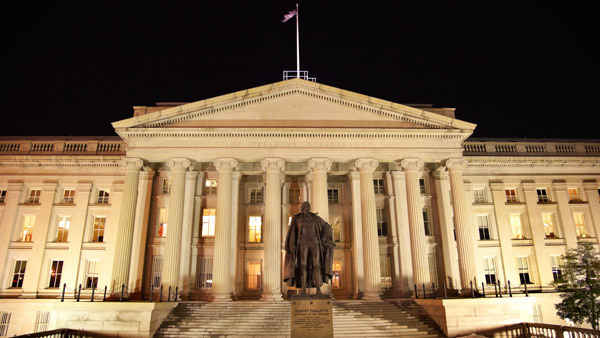 Treasury and the IRS say annuities can be a "cost-effective solution" for retirees to protect against running out of money. The Treasury Department and Internal Revenue Service issued Friday guidance designed to expand the use of annuities in 401(k) plans. The guidance (Notice 2014-66) clarifies that plan sponsors can include deferred income annuities in target date funds used as a default investment, in a manner that complies with plan qualification rules. This option is voluntary for plan sponsors and participants, the guidance says. Treasury and IRS issued final rules in July to make longevity annuities — which provide regular payments that begin at an advanced age and continue throughout the individual’s life — accessible to the 401(k) and IRA markets. Under Friday’s guidance, a target date fund may include annuities allowing payments, beginning either immediately after retirement or at a later time, as part of its fixed-income investments, even if the funds containing the annuities are limited to employees over a specified age. The guidance clarifies that plans have the option to offer target date funds that include such annuity contracts either as a default or as a regular investment alternative. In an accompanying letter, the Department of Labor also confirmed that target date funds serving as default investment alternatives may include annuities among their fixed-income investments. The letter also describes how fiduciary standards under the Employee Retirement Income Security Act can be satisfied when a plan sponsor appoints an investment manager that selects the annuity contracts and annuity provider to pay the lifetime income. Many employer-sponsored 401(k) plans offer target date funds as a default investment for participants who do not affirmatively elect a different investment. Target date funds’ allocation of investments shifts gradually from equities to fixed income as participants approach an intended target retirement year.